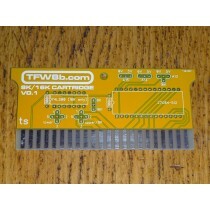 Of all the methods of loading stuff into your Commodore, TFW8b's SD2IEC SD card interfaces are the business. SD2IEC provides much of the functionally a 1541 disk drive, supports fast loaders like JiffyDos, Final Cartridge III and Epyx FastLoad. TFW8b.com version of the SD2IEC is the most common method of loading/saving on a Commodore 8bit Today! Below you'll find a brief explanation of how to setup SD. Simply format any SD card as FAT16 or FAT32. In most circumstances a QUICK FORMAT will do. If you are having any trouble using your SD card in your SD2IEC, try formatting with the official SD Card formatting tool. To keep your file structure neat, create directories for your files. Something like this..
Quick note, if you don’t have a diskswap button.. when searching for disk image, try to avoid multi disk D64’s if you can, some games have been converted either to .prg’s that you can just run from a directory, or the larger capacity D81 disk image. Insert the prepared SD card into your SD2IEC and from BASIC type LOAD”*”,8<ENTER> RUN<ENTER>. This should load and run filebrowser. To navigate the menu either use cursor keys or Joystick in port2. For single D64 images, just open the D64 by pressing RETURN or FIRE and then select the first PRG file to LOAD. To load your multi disk images, use FileBrowser to open the directory containing the D64 images and the AUTOSWAP.LST file, then press Q to quit filebrowser. Now press the diskswap button to select the first disk (button nearest the data cable). Type LOAD”*”,8<ENTER> RUN<ENTER> to load from the first disk image and when the program asks for the next disk press the button again. When the SD2IEC reaches the end of the AUTOSWAP.LST file, it will loop back to the beginning of the list. AUTOSWAP automatic file generation. To use this feature, from the directory containing your Dxx images, press both the ‘Previous’ and ‘Next’ buttons at the same time. The SD2IEC will create a file called AUTOSWAP.GEN. You can use this file straight away or you can edit it if the order is incorrect and rename it to AUTOSWAP.LST for future use. A must watch for Commodore disk novices. Pictures speak a thousand words! These commands can be entered from Basic as well as from your freezer card menu. Too much like hard work? Like to take the easy setup option?? Well here it is! 1. Quick format your SD card to FAT16 or FAT32. 2. 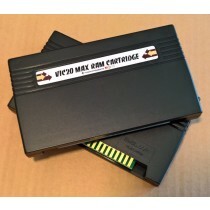 Download SD2IEC / divMMC Future software pack and unpack DIRECTLY onto your formatted SD card. When loading multi disk games, EXIT FB (Q) in the directory containing the D64’s you want to use, then press DISKSWAP button to select the first disk. Next type LOAD”*”,8<ENTER> RUN<ENTER> When prompted, press DISKSWAP to select the next disk. If you have any problems formatting your SD card, try the official SD Card formatting tool found here.. sdcard.org Some characters may be displayed as symbols. DON'T PANIC.. This is how your Commodore deals with upper and lower case. It's best to make sure your filenames are all lowercase if you want an easy read! SD2IEC loading speeds are the same as a real 1541.. Slow! But it can be sped up by fastload roms or cartridges. JiffyDos is the best overall fastloader solution available for most Commodore computers, but JiffyDos is a ROM chip that needs to be installed inside your computer. This does mean that you might have to use a soldering iron if your ROM is not in a socket. 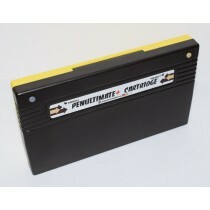 Another solution is cartridges. 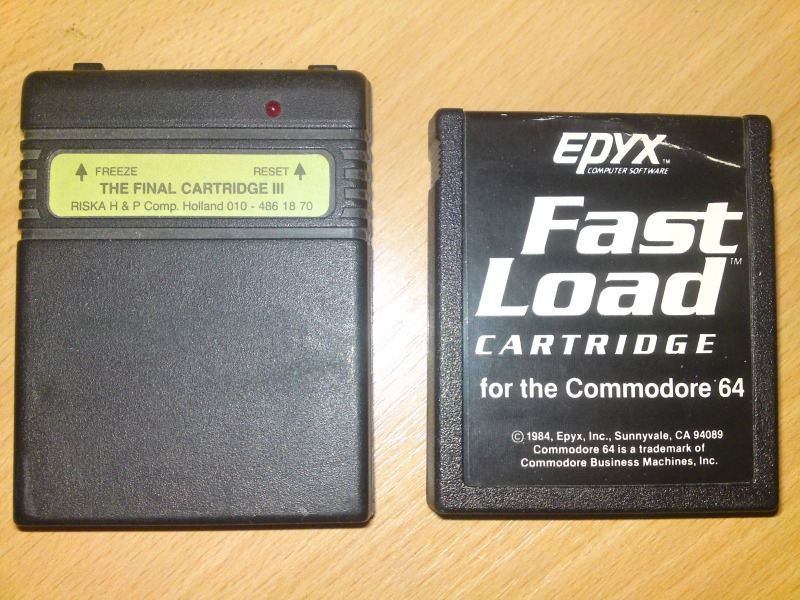 Various carts work fine, I have tested The Final Cartridge III and Epyx FastLoad myself. 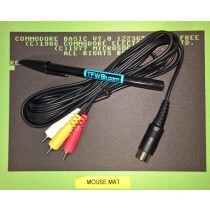 FCIII can be pricey but it does support freezing. EFLr can be found here..
Q. Does the SD2IEC support all game images. A. No, it does not fully emulate the 1541, so programs that require 100% true drive emulation can fail. But these are few and far between, the only device that 100% emulates the 1541 fully is the 1541U-II. But that does cost of a heck of a lot more. Q. How do I change disk? A. If you have a cased SD2IEC, just use the diskswap buttons. (See Multiple Disks above) Or you can change disk via BASIC, a Freezer Card, using a program like file CBM-filebrowser, or by adding a disk swap header and switch. Alternatively, some multi-disk games have been converted over to D81, or just PRG's, completely removing the need to disk swap in the first place. Q. I've got a disk swap button, but how do I work it. You'll need to create a text file called autoswap.lst, and this will need to be saved into the folder containing your disk images. TIP.. Another good way of doing this is to rename the files. 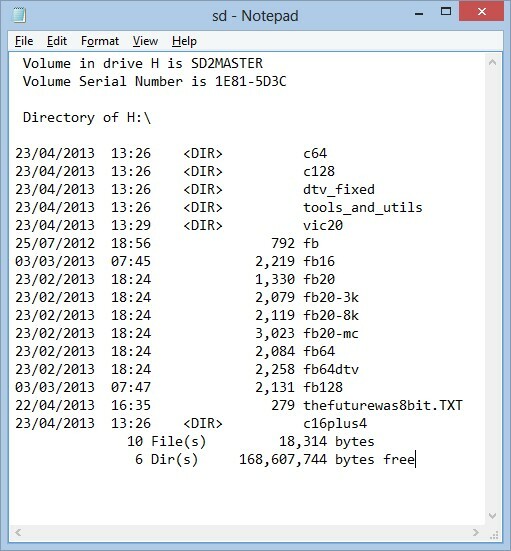 As most multi disk games are 2 disk, just create a autoswap file like this..
What to people think of TFW8b.com SD2IEC's?